Families spent less out-of-pocket for college in academic year 2015-16 compared to last year, as they took advantage of more scholarships and grants to foot the bill, according to “How America Pays for College 2016,” the national study from Sallie Mae, the country’s largest private student lender, and Ipsos, a global independent market research company. Scholarships and grants covered 34 percent of college costs, according to the report, the largest percentage of any resource over the last five years. Approximately, half of families used a scholarship or grant to help pay for college. 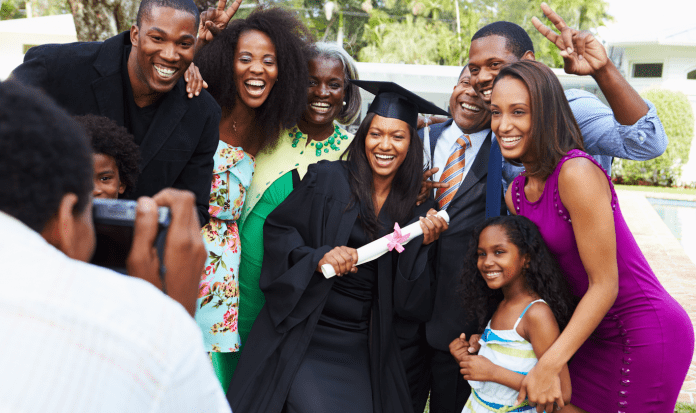 • Bachelor’s: the new norm: Families are firmly in agreement on the value of college: 98 percent believe it’s an investment in their student’s future and 90 percent expect their student to earn a bachelor’s degree. What’s more, 54 percent of families expect their student to earn a graduate degree. Families are putting their money where their mouth is — the vast majority are willing to stretch financially to make college happen. • Making college more affordable: Nearly all families took at least one cost-saving measure, while most took five or more. These measures include cutting personal spending, working while in school, living at home, and taking accelerated coursework to graduate faster. Additionally, four in five students attended college in their home state, and one in three started at community college. Eighty-five percent of families completed the Free Application for Federal Student Aid (FAFSA). • Borrowing not a forgone conclusion: Fewer than half of families borrowed last year. In fact, the proportions of funding from family savings and income and scholarships and grants were twice as high as the proportion of funds borrowed. Student borrowing paid 13 percent of all college costs, down from 16 percent last year. • Cost important, but not top factor: Sixty-seven percent of families narrow college choices based on cost, but when it comes to making the final decision, this takes a back seat. Primary reasons in choosing a college are split evenly between academic program and personal choice, which includes campus culture, extracurricular activities and student population. Cost ranked third at 27 percent. • Planning still pays off: Only 40 percent of families have a plan to pay for college — but in families with plans, students are more likely to pursue bachelor’s degrees, there is more willingness and ability to spend on college, and students borrow 40 percent less than those from families without plans. For the complete report, visit SallieMae.com/HowAmericaPaysForCollege. Join the conversation using #HowAmericaPays. To learn more about planning for college, visit Salliemae.com/PlanforCollege.